Another busy week of buying supplies and a weekend of demolition. But first, a little fun. 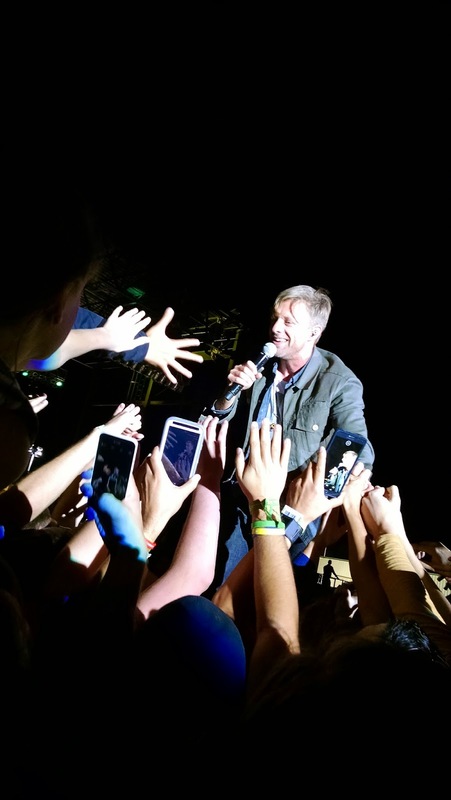 My niece wanted to see the band Switchfoot at the Pima County Fair. That's not something I would usually do but I decided to go with her. Besides the temporary hearing loss and gross fair food (stay away from Chicken on a Stick), the band was good and I recognized a few songs from the radio. The best part was when the lead singer came in to the crowd to sing to us. Back to work. We cleared out the hallway and the middle bedroom. Next steps, wash the walls and floors, repair siding and even out flooring, paint, add vinyl flooring and trim. 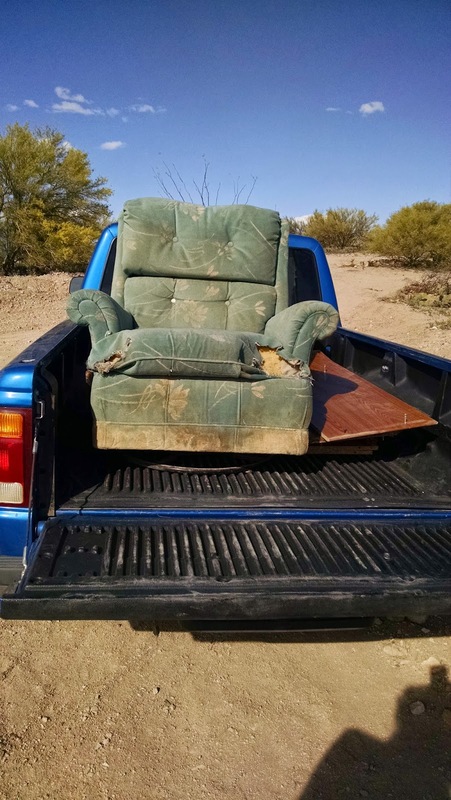 I finally decided to part with my dog-ruined recliner. The entertainment center went out too. 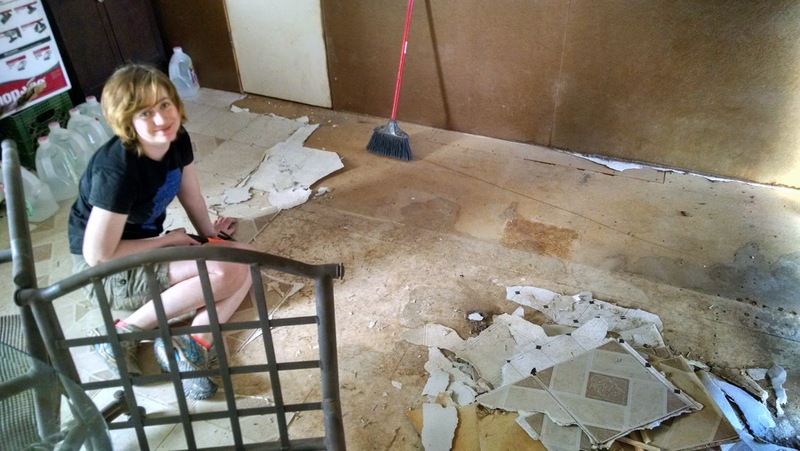 Particle board soaks up too many nasty things. 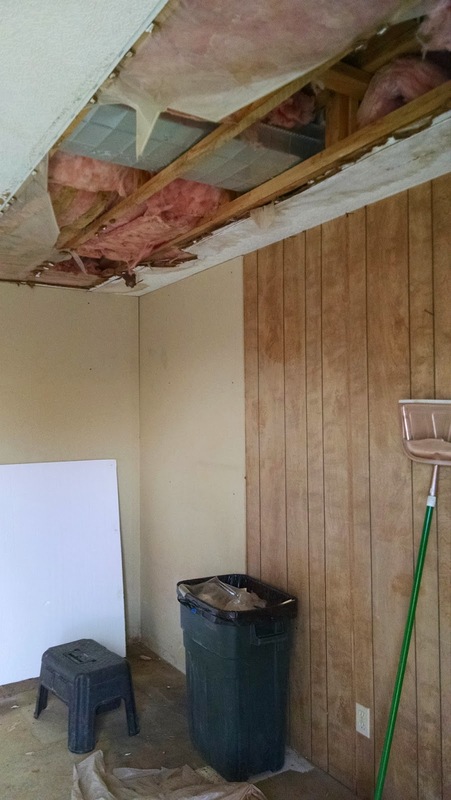 I removed 3 strips of water damaged ceiling tile. All known leaks have been fixed. Next weekend I need to buy paneling or drywall to nail over the hole and paint it all. 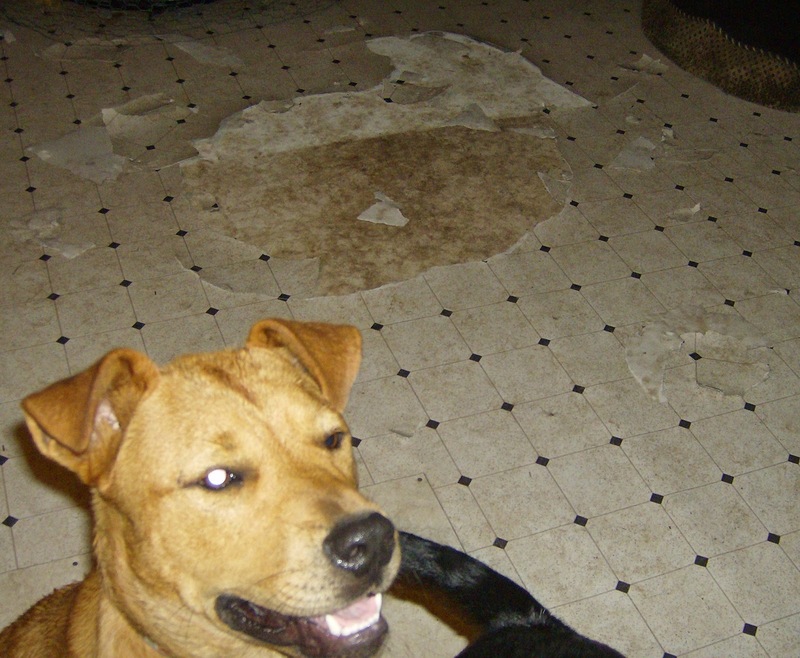 My niece tackled the old vinyl flooring and the single vinyl tiles that I had nailed down to patch the floor when a certain destructive foster dog had some fun (the same foster dog that ate my recliner). The living room floor is halfway cleared. Next Saturday will entail more prying up of flooring, removing nails, cleaning the floor and painting it before I buy new vinyl. I don't have much furniture left. 2 tables, one bookshelf, and one small dresser were all that were salvageable. The brown dog's name was Mandi and she certainly thought my house tasted good. 11 weekends left before school starts. We are rapidly running out of time. I bought the bathroom sink and cabinet but it is still in the box waiting to be assembled. The water heater arrived but it is also in the box waiting for me to decide where to put it and then to figure out which plumbing connectors to buy. I will have all week to think about it since I won't get back out there until Saturday. Tomorrow I get to visit the dump and unload the truck at lunch time. It will be good to see it go. You're making great progress on the mobile home. I know it is a ways off yet, but I'm looking forward to seeing how you finish the shed. That is something I want to do myself. 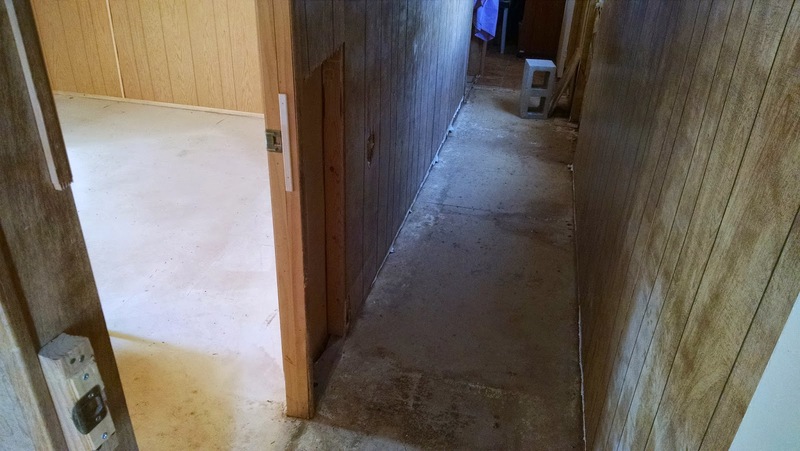 Ya, I jumped the gun buying the barn-shed since I don't have any money in the budget to fix it up but it was in the 5 year plan so eventually, I will get to it. I almost wish I had abandoned the mobile home and put my money into the barn-shed instead. It will be nice to have both of them when they are all done though.